You start by learning all about the basics of scuba diving, you and your instructor will go through the material until you completely understand all you need to know! 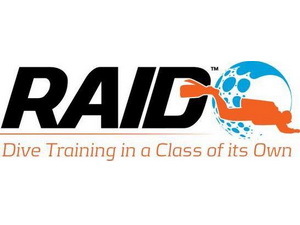 Once you have completed your theory work and have a firm grasp of basic diving concepts you continue to the pool, we call this the confined water, because it’s safe and controlled. 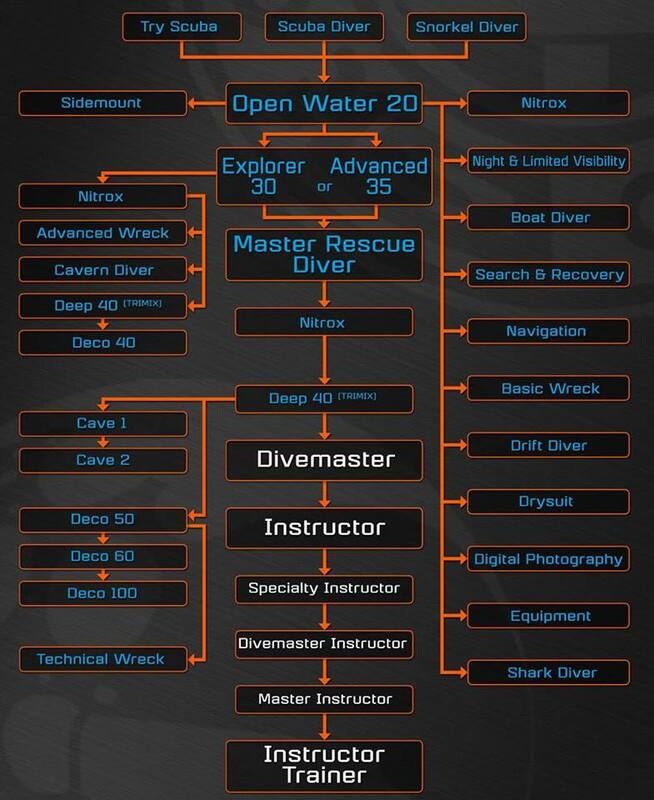 Here is where your instructor will show you the basic diving skills, the skills you need to become a confident diver. After your confined water dives, you’ll head to a quarry or the sea where you will do four dives to eight dives, usually over one or two weekends. On these dives you’ll get to explore the underwater world seeing wrecks, marine life and probably other divers! You’ll apply the skills you learned in the pool while enjoying ‘proper’ diving. Most student divers complete these dives close with us in the UK, but there is an option for finishing your training whilst on holiday. We run trips all over the world during the year, and whilst this option obviously costs more you get a diving holiday thrown in too! At Severntec Diving we don’t like hiding costs from you, take care when comparing prices, make sure you have full transparency. Our Open Water Courses will have a maximum of 2 students per dive professional, we include all course fee’s, but depending on how, where and when you train, other costs may be incurred, such as air, pool costs or quarry entry fees. And although we favor online training, and the majority of your theory lessons can be done at the comfort of your own home, we have a lovely classroom for any extra lessons that may be required, or for when you want to ask some extra questions! 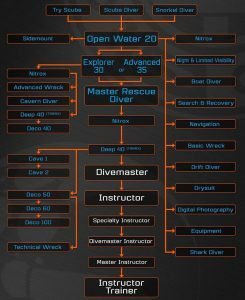 Call us today, and book an appointment to come into the dive centre, we are happy to advise you about our different course options, and find out which one is best suited for you.